A seaside cottage in the heart of Bundoran in County Donegla, Ireland that can sleep six people in three bedrooms. 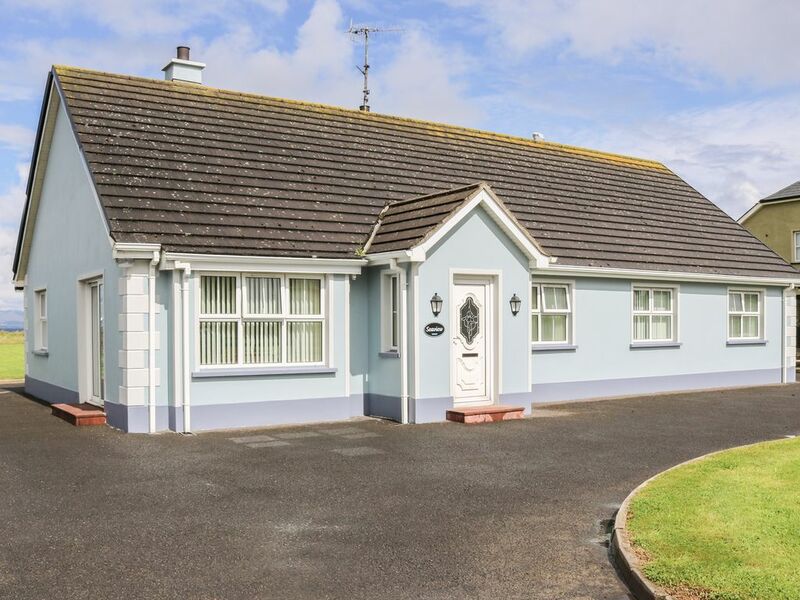 A bungalow located in Bundoran in County Donegal, Ireland. It has three bedrooms including two doubles (one with an en-suite shower room) and one twin room as well as a family bathroom, it can sleep six people. It also comes with a kitchen diner, utility and a sitting room with an open fire. There is off road parking for four cars. A charming cottage in an excellent seaside location. Amenities: Oil fired central heating system with open fire. Electric oven and hob, fridge, freezer, microwave, dishwasher, washing machine, TV with basic channels. Fuel included in rent. Bed linen and towels included in rent. Off road parking for 4 cars. Lawn to front, side and rear of property. No smoking. No pets. Pub/shop/restaurant 4 minute walk. Town: Bundoran is situated in County Donegal and is one of Irelands most popular resorts. A fun day out can be spent at the Bundoran Adventure Park, or on rainy days at Waterworld. Cliff-top walks around the town are a must, plus the area is great for golfers, with many courses in the area, including one in Bundoran itself. Close by is Ballyshannon, the oldest town in Ireland, boasting a folk festival every year and offering shops selling local products, pubs, restaurants, a leisure centre and a beach. Rosses Point is a short drive away, plus Benbulben, part of the Dartry Mountains, and the whole of Donegal are within driving distance. An area in which you are bound to visit time and time again. All ground floor. 3 bedrooms: 2 x double (1 x ensuite), 1 x twin. Bathroom with bath, separate shower, WC and basin. Kitchen with dining area. Utility room. Sitting room with open fire. Oil fired central heating system with open fire. Electric oven and hob, fridge, freezer, microwave, dishwasher, washing machine, TV with basic channels. Fuel included in rent. Bed linen and towels included in rent. Off road parking for 4 cars. Lawn to front, side and rear of property. No smoking. No pets. Pub/shop/restaurant 4 minute walk.